Sonia Manzano’s new memoir Becoming Maria: Love and Chaos in the South Bronx was released in August. 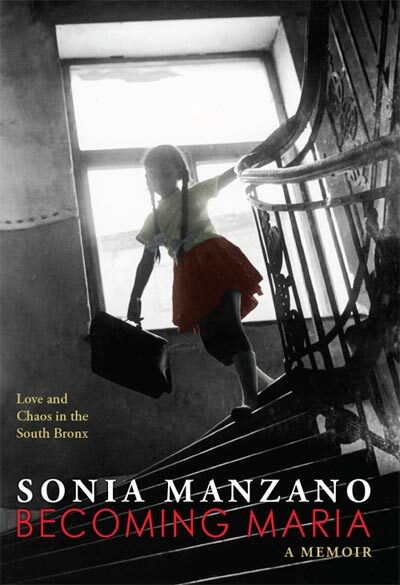 In it, Manzano tells the story of her childhood in the Bronx, high school at the LaGuardia School of the Performing Arts, her college years at Carnegie Mellon, and breakthrough performance in the Broadway musical Godspell. 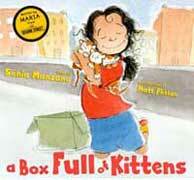 The book ends with Manzano’s successful audition for a new children’s television show called Sesame Street. 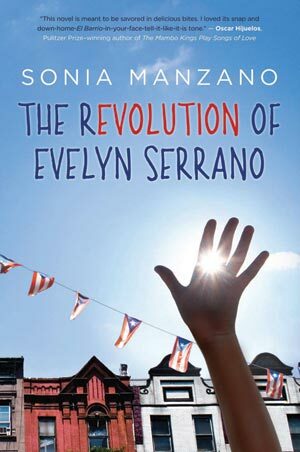 I was able to interview Manzano during the 2015 National Book Festival in Washington, D.C.
Cecilia Cackley: Was there a library near your house growing up? What kinds of books did you read as a kid? 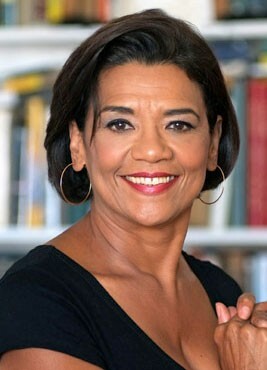 Sonia Manzano: There was no library close by my house. We had a library at my school, but we were not allowed to take the books home. Every week we would have a 40 minute ‘library period’ when we would read silently to ourselves. So each week I would mark my place with a scrap of paper and try to find it again the next time so I could finish the book. The book I remember most clearly was Fifteen by Beverly Cleary. I left the school before I could finish it, and although I kept looking for it, I didn’t find it again until I was 35, in a rural library in Pennsylvania! CC: You’ve written both picture books and a YA novel. What do you think about the state of Latinxs in children’s literature right now? SM: We have a lot of books with Latino-based stories…I don’t know why more people don’t know about them. I actually asked Pam Muñoz Ryan that recently and she said that while there are wonderful titles, such as El Bronx by Nicholasa Mohr, there aren’t a lot of long lasting titles that have become classics. Also, some elements of traditional Latino stories, like the Juan Bobo stories, play into stereotypes that publishers don’t like. Our culture is always in flux, and publishing houses can’t pin us down. CC: Are there any recent Latinx books that you’ve read that you would recommend? SM: I recently read Shadowshaper by Daniel José Older, which was wonderful and relates to the urban experience. I also read I Lived on Butterfly Hill, which was excellent. CC: Part of Becoming Maria is about your experience as a student at Carnegie Mellon. What advice would you give to today’s students who are the first in their families to attend college? SM: I would say that if at all possible, visit the college first. I wasn’t able to do that. It is a mind-expanding experience. Visiting will help it seem less strange when you get there. CC: You’ve worked in theater, television, and now writing. Is there a connection for you between performing and writing? SM: I think all art forms are connected in some way. I approach acting and writing very differently, though. The best acting is spontaneous, but when you write it is very examined. CC: Now that you’re leaving Sesame Street, do you think you would do a theater show again? SM: I would do it in a minute. But I hate auditioning. I would need a group to work with, someone with a vision. It’s hard as an actor because you need to be a vessel of someone else’s dream. But for me, for so long, I have been the character. I don’t know that I’d want to be someone else on stage. CC: What if you were asked to do a one-woman show about your life? SM: Yes, absolutely I’d do that. Cecilia Cackley is a performing artist and children’s bookseller based in Washington DC where she creates puppet theater for adults and teaches playwriting and creative drama to children. Her bilingual children’s plays have been produced by GALA Hispanic Theatre and her interests in bilingual education, literacy, and immigrant advocacy all tend to find their way into her theatrical work. You can find more of her work at www.witsendpuppets.com.